No matter how many times we visit, the Eternal City never ceases to amaze with its endless supply of ancient sites to explore and marvel over. King of these is the Colosseum. 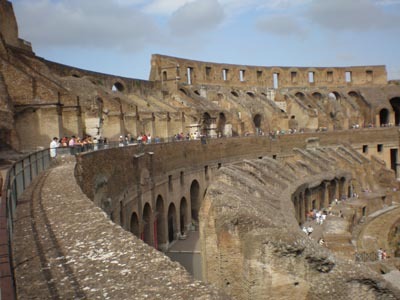 Built in 72-80 AD by slaves captured from fallen Jerusalem, the massive center of the Roman’s thirst for blood stands strong despite centuries of being used as a quarry by the citizens of Rome after the fall of the empire in the 5th century. Even the Catholic Church got into the act, stealing marble by the cartload for the decoration of the new cathedral of St. Peter, built in the 16th century. What’s left is still enough to humble and awe even the most seasoned of travelers.